The B-R High School marching band is doing a fundraiser! Eat and/or drink at the 99 Restaurant in Bridgewater on Tuesday, January 31st and 15% of the ticket goes to the marching band. Please email aroundthecommon@gmail.com and we will forward you the necessary coupon. On Saturday, February 11th, the Taunton branch of the AAUW (American Association of University Women) will meet at Hong Kong City, located at 174 Broadway, Taunton. The meeting will begin at 12:30 p.m. and will feature lunch and a book review discussion. This is open to women in Bridgewater. The chosen book is State of Wonder by Ann Patchett, an award-winning novelist. For more information about the author or the book, visit her website at http://www.annpatchett.com/. For more information about the local area branch of the AAUW, contact Rosemaire Buote, Vice-President of Membership, at 508-669-5069. the Taunton area branch also maintains a website at: www.aauw.ma.org/taunton/aauwtaunton.htm/. The Town of Bridgewater will be hosting municipal elections in April. Some of the positions that are open currently do not have any candidates running for the seat. To see who is running and to consider running for office, please click here to see the election information. Wear Your Town raised over $200.00 for the George Mitchell Elementary School Parent Association. Thanks to everyone who helped support this cause. Wear Your Town is also pleased to announce that new items are on display at the Bridgewater Public Library! 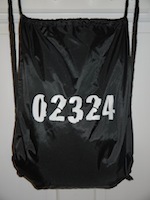 There are now backpacks, embroidered hats, and hoodies for 02324. Items will be in stock soon! Wear Your Town donates 25% of sales at this location to the Friends of Bridgewater Public Library. Now Hear This is provided to Around the Common by Roderick Walsh, Director of Veterans' Services for the Town of Bridgewater. In 1924, a grateful Congress voted to give a bonus to World War I veterans - $1.25 for each day served overseas, $1.00 for each day served in the States. The catch was that payment would not be made until 1945. However, by 1932 the nation had slipped into the dark days of the Depression and the unemployed veterans wanted their money immediately. A month later, on July 28, Attorney General Mitchell ordered the evacuation of the veterans from all government property, Entrusted with the job, the Washington police met with resistance, shots were fired and two marchers killed. 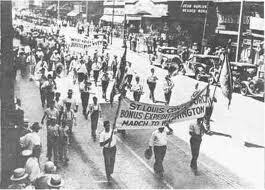 Learning of the shooting at lunch, President Hoover ordered the army to clear out the veterans. Infantry and cavalry supported by six tanks were dispatched with Chief of Staff General Douglas MacArthur in command. Major Dwight D. Eisenhower served as his liaison with Washington police and Major George Patton led the cavalry. Around the Common welcomes R.J. Gabriel Construction Company to our Bridgewater Business Listings. 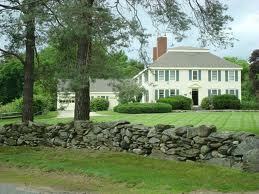 R.J. Gabriel is becoming a leading Catch Basin Cleaning Company in Massachusetts. 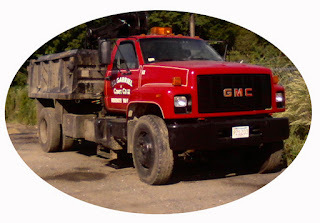 R.J. Gabriel has provided the state of Massachusetts with trusted construction site work for over 80 years and now offers Catch Basin Cleaning as a new service. As an approved vendor for the DOT for catch basin cleaning, most towns especially South of Boston call R. J. Gabriel for their catch basin cleaning needs. If you're looking to install, maintain, repair or replace your septic system, call on the experts and get it done right. R.J. Gabriel Construction Company is available 24 hours a day, seven days a week for emergency repairs and their professional, courteous team of experts will fix the problem no matter how bad it is. Excavation and sitework comprises between 50 and 60 percent of R.J. Gabriel Construction's total job volume. They maintain a modern fleet of equipment that is constantly updated to keep pace with the most current technology and safety systems. As a result, no matter what the project size, they offer the equipment, resources, and skilled personnel to perform at the highest levels of excellence. To learn more about the other services that R.J. Gabriel Construction Company offers, make sure you check out their website today. You can visit their site by clicking here. Kathryn Smith Lockhard will present a lecture on “What is Genealogy and Where Do You Start” at the Bridgewater Public Library on Tuesday, January 31, 2012 at 7:00 p.m.
Kathryn Smith Lockhard is a former financial controller. She has spoken to large academic groups on career education and assisted in writing a manual for the New Hampshire State Department of Education based on statewide surveys she conducted. She is the author of Forever Laced, A Journey through Two Centuries, a biography/memoir of her maternal Roesch family who came to America in 1857. Being a direct descendant of the Roesch and Houston families, she has given a presentation to members of the Brevard County Historical Society in Cocoa, Florida. She also writes articles for the Southern Genealogist Exchange Society. 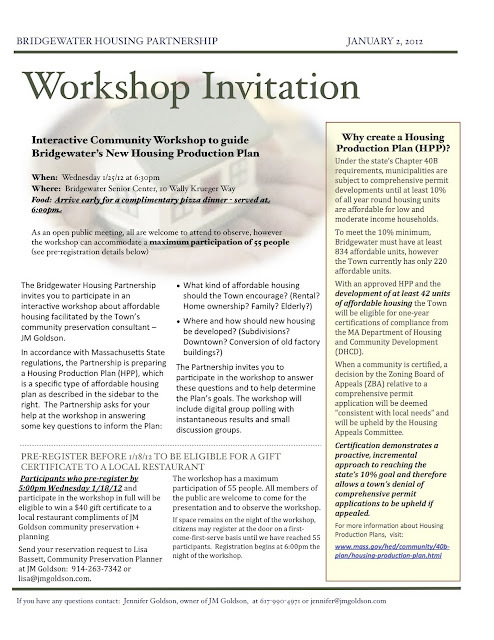 This free program is funded by the Friends of the Bridgewater Public Library. It will be held in the Flora T. Little Meeting Room, which is accessible by elevator. Parking is available in back of the library, located at 15 South Street. 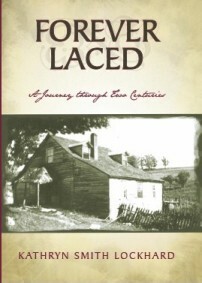 For additional information about Forever Laced or about the author, go to: http://www.woodenshipsironmen.com/ForeverLaced.htm. The Town of Bridgewater acquired the historic Keith Homestead on Lakeside Drive with CPA funds last summer. The Town is asking citizens to submit ideas for re-use of the historic homestead – a 3,500sf house built in 1783 surrounded by conservation land. Also looking for historic photos of the property (prints will be copied and returned promptly). Contact Lisa at lisa@jmgoldson.com or 914-263-7342 with re-use ideas or photos by 5pm on Friday 2/24/12. 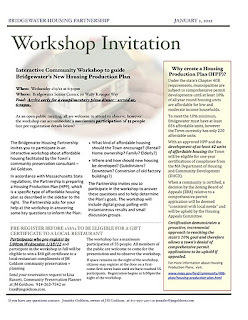 The Housing Production Plan Workshop that is being presented on 1/25/12 @ the Sr. Center has extended the registration deadline to 1/20. Childcare will be available and pizza will be served. Registration is essential to ensure pizza for everyone; e-mail lisa@jmgoldson.com. Children are asked to bring a toy; coloring supplies and a movie will be available as well as a quiet place for older children to do homework. Citizen participation is essential to a good Housing Production Plan and a good plan is all that allows us some control over 40B developments in the foreseeable future. Click the photo below for more information. The Bridgewater-Raynham Regional School District offers integrated center-based programs designed to serve children three (3) to five (5) years of age with special learning needs. 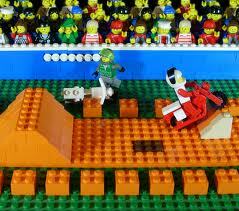 The program also includes children who are typically developing and display age-appropriate skills. There is a tuition for children without special learning needs, and transportation is the responsibility of the parent/guardian. If you would like to apply for a preschool slot, applications for the screening are available at the Mitchell Elementary School, Central House office. Please plan to bring your child’s original birth certificate and submit proof of residency at registration. The screening date will be Friday, February 10, 2012 by appointment. Children must be three (3) years of age by the screening date. If you have any questions regarding the application process or would like to arrange a visit, please call the Central House Office at the Mitchell Elementary School, 508-279-2117. Happy 4th Anniversary Around the Common! On January 18, 2008 Around the Common was first launched and our first ever post was completed. Since that time, we have had a great time being Bridgewater's premier blog outlining news, events and commentary all related to Bridgewater. Proud to call Bridgewater home, Around the Common is also proud to only highlight things of importance relative to Bridgewater. 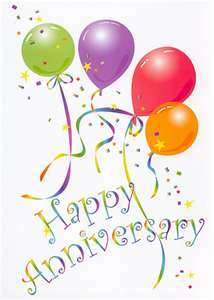 Special thanks to all the business partners of Around the Common and most importantly the readers of Around the Common. It is still strange and amazing at the same time when someone comes up to me in Roche Bros. or Better Bean and says, "Aren't you Kevin from Around the Common" and I appreciate all of those who read Around the Common religiously. We've spread the news, raised money for charities and highlighted all of the good taking place in Bridgewater! Thanks again for making these past four years great and here's to another forty years of Around the Common! The Friends of the Bridgewater Public Library will sponsor a Book Sale on Saturday, Jan 21st in the Flora T. Little Meeting Room on the lower level. The sale is from 11a.m. – 1p.m., with a Friends Only Preview from 10a.m. – 11a.m. 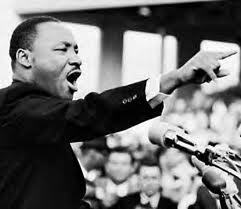 The Bridgewater Public Library will be closed on Monday, January 16th for Martin Luther King Jr.'s birthday. They will reopen on Tuesday at 9:00 AM. BSU is hosting a qualifying tournament for the FIRST (For Recognition of Science and Technology) Tech Challenge, Twenty high school robotics teams will compete for a chance to be in the State competition to be held in March. We are seeking volun­teers from BSU and the Bridgewater community to help with activities. Please email Lynne Augenti at laugenti@bridgew.edu if you are interested and she will send you a volunteer sign up sheet. 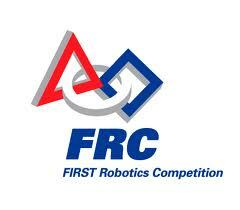 Visit: www.usfirst.org/ftc for more information about this competition. The Bridgewater-Raynham Special Education Parents Advisory Council (BR-SEPAC) will be holding their monthly informational meeting on Tuesday January 17th at 7:00pm. The meeting will be held at the Bridgewater-Raynham High School Lecture Hall (second floor) located at 415 Center Street, Bridgewater, MA. The BR-SEPAC is made up of parents that represent about 850 children with special needs within the Bridgewater-Raynham School district. The BR-SEPAC works collaboratively with the Bridgewater-Raynham Public Schools and Bridgewater-Raynham School Committee to provide support and information for parents, school personnel, and the community about disabilities and the special education process. The Bridgewater-Raynham SEPAC accomplishes this through regular meetings, workshops, presentations, and special events. The meeting is free and open to all. For more information visit our website: brsepac.org or email Stephen Benjamin. The Town of Bridgewater (The Town) is soliciting proposals under MGL Ch. 7 § 38A ½ - 38O, inclusive, from qualified firms to conduct a feasibility study for the reuse and redevelopment of the Academy Building and for the reuse of the Town Hall and Memorial Building located in Central Square in Bridgewater, MA. Complete specifications and proposal requirements are available at the Office of the Town Manager, 66 Central Square, Bridgewater, MA 02324, or by requesting a copy via email at: procurement@bridgewaterma.org . Proposals must be received no later than 2:00 p.m. on Wednesday, February 8, 2012, in the manner and format as required in the Request for Proposals, and should be addressed to Town Manager Troy Clarkson at the above address. The Town reserves the right to waive any informalities in the proposal procedure, to cancel this Request for Proposal or to reject any and all proposals received deemed not in the best interest of the Town. The Town encourages Women and Minority-owned businesses to submit proposals. In accordance with Section 2-3 of the Bridgewater Home Rule Charter, the honorable Scott Pita and Town Manager, Troy Clark­son request your presence at the town’s inaugural State of the Town Address and Meeting of the General Public. The address and meeting will take place on Tuesday, January 10, 2012 at 7:00pm at the Bridgewater Senior Center, Wally Kruger Way, Bridge­water, MA. 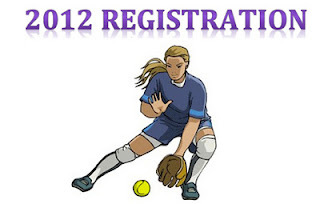 Registration for Bridgewater Girls Softball Spring Season closes on February 15th. There is also a registration late fee assessed after January 15th. One Book One Community announces the book to read for Spring 2012. 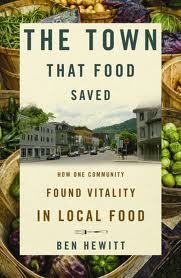 “The Town that Food Saved,” by Ben Hewitt. Over the past 3 years, Hardwick, Vermont, a typical hardscrabble farming community of 3,000 residents, has jump-started its economy and redefined its self-image through a local, self-sustaining food system unlike anything else in America. Hardwick is fast becom­ing a model for other communities to replicate its success. This captivating story of a small town coming back to life is narrative nonfiction at its best: full of colorful characters and grounded in an idea that will revolutionize the way we eat. Ben Hewitt was born in northwestern Vermont and raised in a two-room cabin; his father was a poet and his mother worked on a nearby dairy farm. He now lives with his wife and two sons on a diversified, 40-acre farm in Vermont, where they produce dairy, beef, pork, lamb, vegetables, and berries. His work has appeared in numerous magazines and newspapers, including Best Life, Men's Journal, National Geographic Adventure, the New York Times Magazine, Outside, and Skiing. More information about related events will be forthcoming. 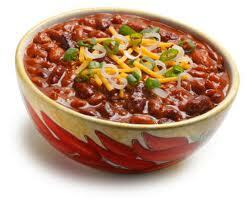 Chili entries may be made by an individual ($10 entry fee) or a business ($20 entry fee). Each entry should include a crockpot full of chili (optionally: cheese or appropriate topping and the crackers or chips that best complement the chili). You will need to provide a name for your chili that best describes it so that those eating the chili will know what to expect. (HOT Peppers Chili, Sweet and Sour Chili, Veggie Delight Chili, etc.). Have fun with it! Also, please decorate your table space to complement your chili. Tables will be provided but you will need to bring an extension cord and your own decorations. There will be an award for best decorated table. Table decorating is optional. On the day of the contest you will need to be at The Cole-Yeaton Center (Bridgewater Senior Center) at 10 am to set up. Please bring your already cooked chili in a crock-pot to keep it hot. You will also need to bring a serving spoon and napkins. Bridgewater Community Lions Club will provide the serving cups for the chili. The doors will open to the public at 11am. Requested donation at the door will be $3 which includes sampling the chili and a chance for a door prize. Awards will be given for: Best overall chili and Best presentation and the People's choice. Come on out of the cold for a good time with friends. We'll have festive music, raffles, a silent auction and snacks & desserts plus lots of CHILI. Come see who's got the most killer Chili in town! 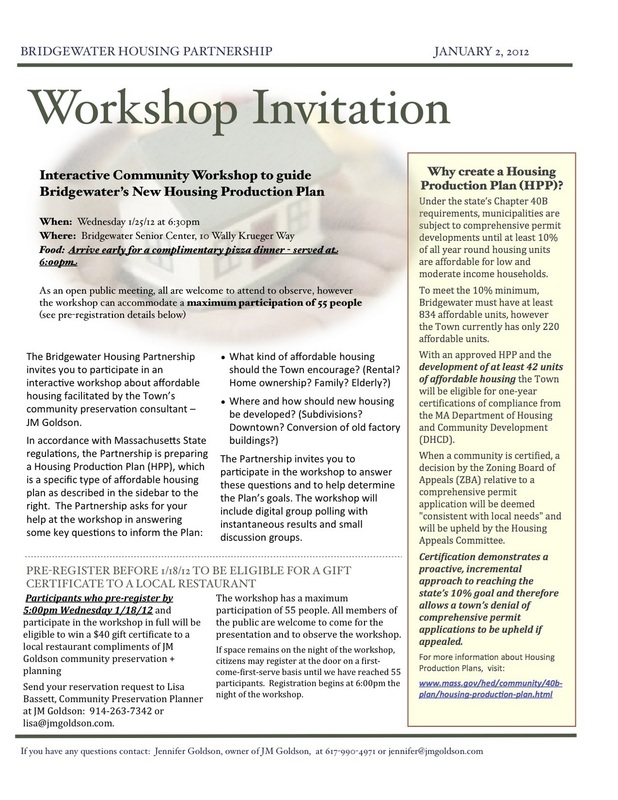 Here is an invitation to a public meeting relative to Bridgewater's Housing Production Plan. The meeting will take place on 01/25/12 at 6:30 PM at the Bridgewater Senior Center. Can you commit to two days a month? The delivery to seniors takes about 2 hours from 9:30 to 11:30a.m. Drivers can work alone or as a team of driver and runner. 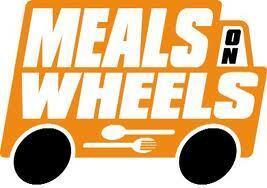 The meals are picked up at the Bridgewater Senior Center and are delivered to a specific list of clients in Bridgewater. There is a small stipend from Old Colony Elder Services for mileage. Drivers can drive on a regular basis or an on-call emergency basis. If you would like to volunteer, please call 508 697-0929 and ask to speak to Jacqui Sullivan or Director Lorraine Carrozza. Here is a list of some upcoming events at the Bridgewater Senior Center. Chair Yoga classes are now being held every Thursday from 10:30-11:30 at the Cole-Yeaton Senior Center, 10 Wally Krueger Way. Susan Andrea, certified instructor from the Maha Yoga Center will be leading the group. For further information please contact the center at 508-697-0929. Join instructor Lori Hunter for basic level Zumba. 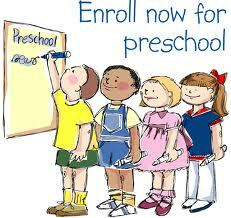 Classes are held every Thursday from 9:00-10:00 at the Cole-Yeaton Senior Center, 10 Wally Krueger Way. For further information please contact the center at 508-697-0929. 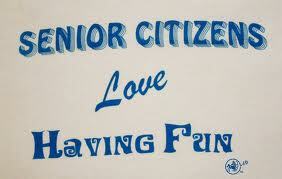 Classes are held every Wednesday and Fridays from 9:00-10:00 at the Cole-Yeaton Senior Center, 10 Wally Krueger Way. These classes are led by certified instructor Wendy Moore. For further information please contact the center at 508-697-0929. Line Dancing instructor Dot Dunham welcomes new members every Tuesday from 9:30-11:15 at the Cole-Yeaton Senior Center, 10 Wally Krueger Way. For further information please contact the center at 508-697-0929. AARP certified tax aide volunteer Dean Strack will be available again this year to assist you with your taxes. This free service will begin on Thursday, February 9th and will continue every Thursday until April 12th. Dean will be available from 9:00a.m. until 3:00p.m. at the Cole-Yeaton Senior Center, 10 Wally Krueger Way. For further information please contact the center at 508-697-0929. The Caregiver Support Group now meets twice a month on Thursdays from 10:00-11:30 at the Cole-Yeaton Senior Center, 10 Wally Krueger Way. If you are caring for an ill or frail elder, please join us. For further information please contact the center at 508-697-0929. A Valentine’s Day Holiday Luncheon/Party will be held on February 14, 12:00 at the Cole-Yeaton Senior Center, 10 Wally Krueger Way. Lunch, Entertainment and Raffles. To sign-up please contact the center at 508 697-0929. The Bridgewater-Raynham Special Education Parents Advisory Council (BR-SEPAC) will be holding their monthly informational meeting on Tuesday, January 17th at 6:30 pm. Following the meeting at 7 pm, the school will hold "An IEP For My Child" lecture. The meeting will be held at the Bridgewater-Raynham Regional High School Lecture Hall (second floor) located at 415 Center Street, Bridgewater, MA. My wife Beth Ann and I are running the Boston Marathon and have pledged to raise $5000 for the Ace Bailey Children's Foundation. If you have any bottles/cans to be redeemed, we can pick them up and all proceeds will go to the Ace Bailey Children's Foundation. Email aroundthecommon@gmail.com address and we can pick them up. You can simply leave them in your driveway. If you would like to instead make a donation by check, email us and we can let you know how to donate.